The ironworker REBEL Series IW 45 has a force of 45 tons. 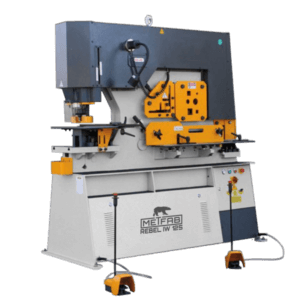 Ironworker machines are multi-purpose machines for metal working. 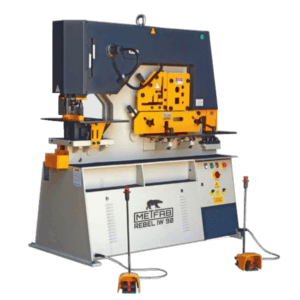 The hydraulic ironworker IW 45 has four workstations, allowing punching, profile cutting, angle cutting and shearing of the square and round metal bars. 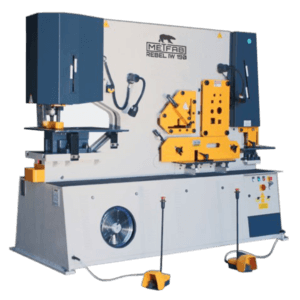 This machine has a single piston that allows one work station to slide manually from left to right . The distance of the piston stroke is adjustable for better productivity. 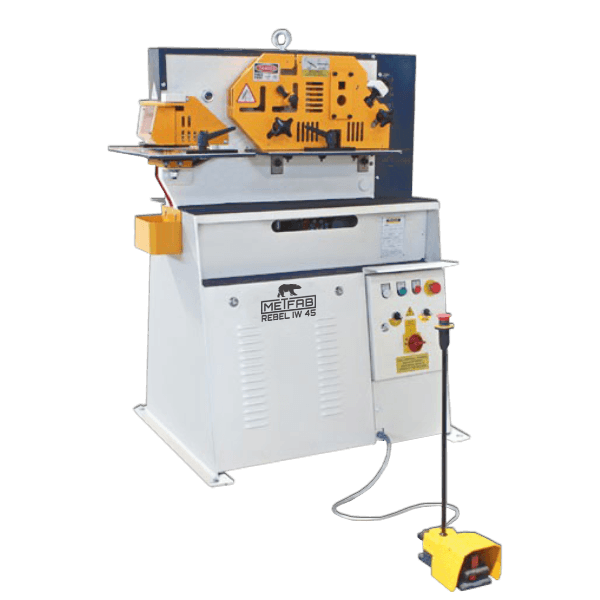 Punching and shearing can be made on both sides by a switch on the electrical switch. All of our Rebel series ironworkers have high-end components that are well known and available in the North American market. 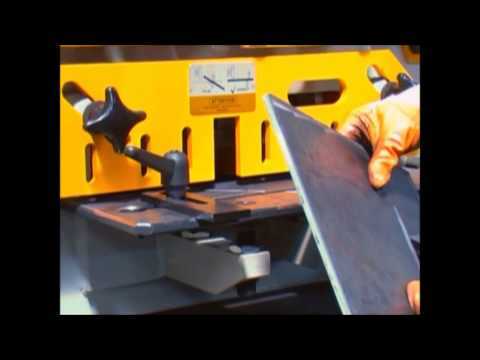 Profile cutting up to 7.9” for a flat bar of thickness 1/2”and up to 3,15” for a profile with an angle of 3/8” thick. Thanks to additional equipment, it is possible to cut U-sections, I-section profiles and T-sections. 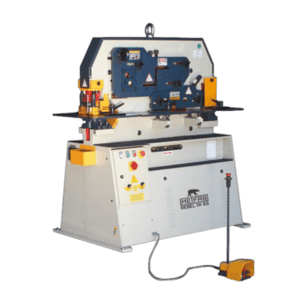 The blades are held by efficient jaws that ensure the equipment can be arranged easily at the machine without any additional adjustment. *The specifications are indicatives and may be subject to change. You will receive an instant email containing the prices and information you requested and/or one of our product specialists will contact you to confirm which model best meets your needs. Help you acquire a product tailored to your needs in the shortest amount of time: that is our goal. What kind of plate do you want to roll?